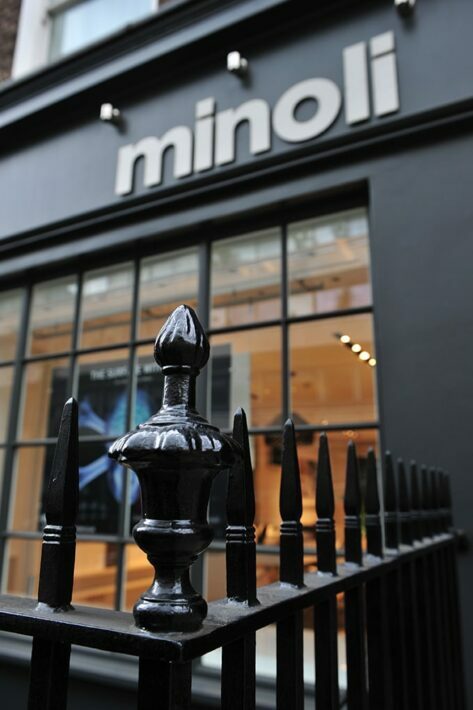 As part of our “ A Day In The Life “ project , Matt Roberts visited Minoli London to capture a few hours in the day in the new Minoli London showroom. 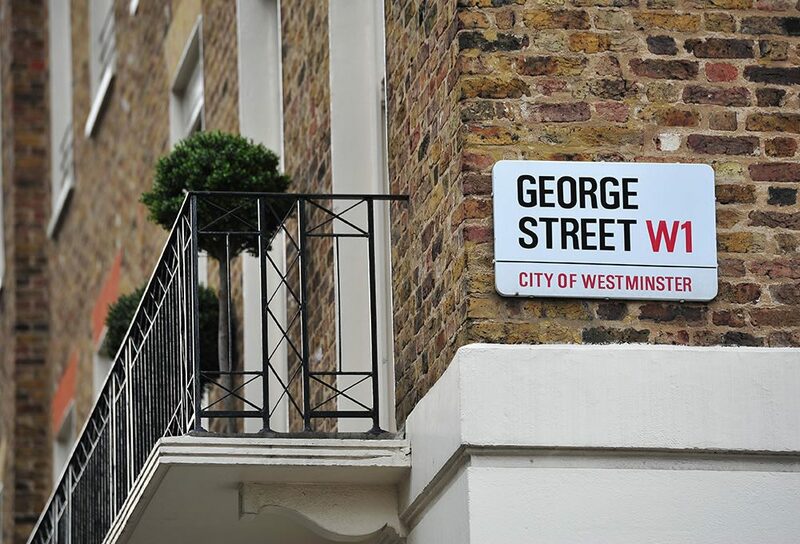 The Showroom on George Street, in the heart of London’s West End was launched in September 2013 and fully opened in October. 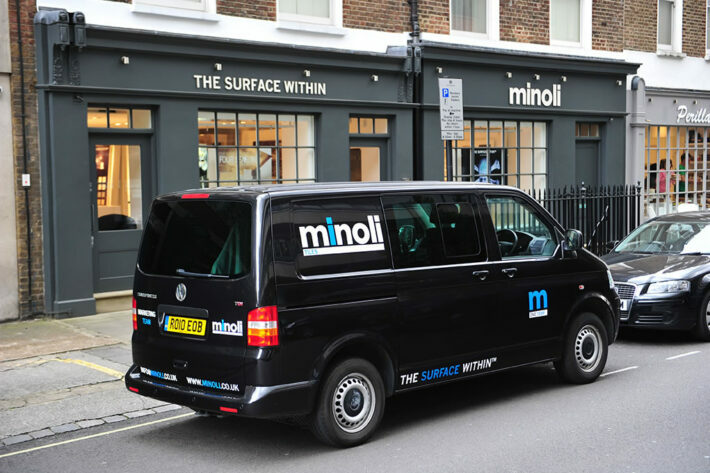 This is very much a return to London for Minoli, where the company was founded by Luigi Minoli pre war in the Islington and Clerkenwell areas. 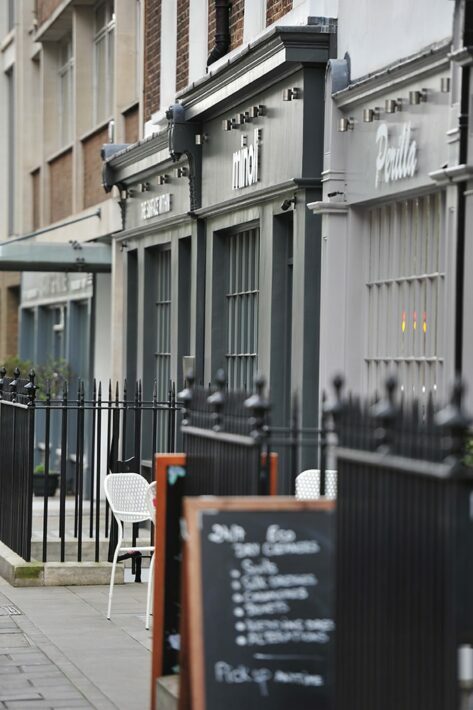 Luigi was the father of Peter Minoli and Grandfather of our current Managing Director Jonathon Minoli. 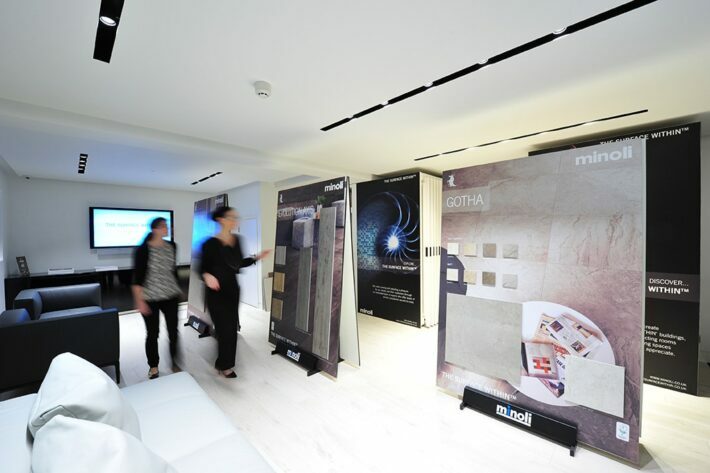 The showroom is managed by Maria, herself Italian and team members from Minoli Oxford are based throughout the week in London for client meetings and presentations. One of these images, captured by the photographer shows all three generations of Minoli Managing Directors together in one image, Peter, Luigi and Jonathon. 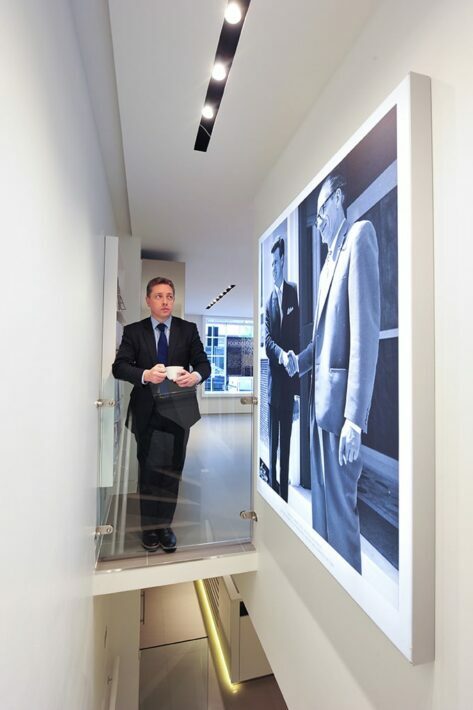 The image of Luigi and Peter is placed in the showroom reception, leading to the lower ground floor and was taken in 1960 at the official opening of the new Minoli showrooms in Oxford. 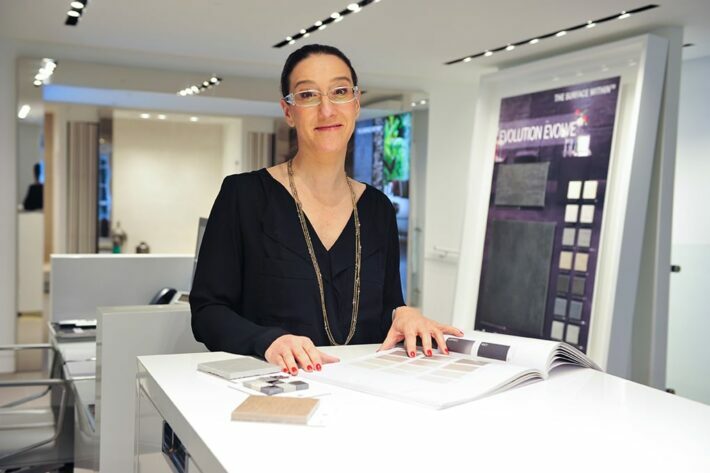 The showroom is open by appointment, Monday to Fridays and by arrangement on Saturdays.